Investment strategies is the game plan to your portfolio. Use the one that’s right for you and significantly increase your chances of success. People extensively plan for their workday, a vacation, college financing, golf matches, buying a car, but they often forget about the most plan-required task of them all: investing. Investing your money without an investment strategy is like a football team going into a game without a playbook, although they are not required, they significantly improve your chances of winning. Creating an investment strategy is a seamless, number two step, after learning the ins and out’s of stock quotes and how to buy them. Having an investment strategy is like having an instruction booklet guiding you through the investment process. It will help you discard many potential investments that may perform poorly overtime or that are not right for the investment goals you are looking to achieve. When creating an investment strategy, it is important to quantitatively figure out what you are seeking to accomplish. Stating that you simply want to make money or become wealthy is not helpful. 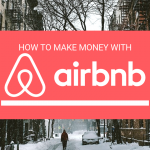 A better objective would be to say “I want to achieve an 8% average annual return on my investment contributions over the next 10 years in order to amass $200,000 that will be used to purchase a cottage home.” The more specific the objective, the better. And it doesn’t stop there. An investment strategy is useless without a proper understanding of it. DIY.FUND helps you design your portfolio and oversee your investments to better understand and manage them. There are many different strategies that apply to different investment objectives, the key is pairing the right strategy with the right objective. Once you have picked an investment strategy that works best for you, read this Motley Fool Review to see how it preformed. An investment strategy made popular by Warren Buffet, the principle behind value investing is simple: buy stocks that are cheaper than they should be. Finding stocks that are under-priced takes a lot of research on the fundamentals of the underlying companies. And once you’ve found them, it often takes a long time for their price to rise. This buy and hold technique requires a patient investor but should the right call be made, handsome payoffs could be earned. All investors should understand at least the basics of value investing. A great way to build wealth over time, income investing involves buying securities that generally pay out returns on a steady schedule. Bonds are the best known type of fixed income security, but the category also includes dividend paying stocks, exchange-traded funds (ETFs), mutual funds, and real estate investment trusts (REITs). Fixed income investments provide a reliable income stream with minimal risk and depending on the risk the investor is looking to take, should comprise at least a small portion of every investment strategy. An investment strategy that focuses on capital appreciation. Growth investors look for companies that exhibit signs of above-average growth, through revenues and profits, even if the share price appears expensive in terms of metrics such as price-to-earnings or price-to-book ratios. What Warren Buffet did for value investing, Peter Lynch did for growth investing. A relatively riskier strategy, growth investing involves investing in smaller companies that have high potential for growth, blue chips and emerging markets. An investment strategy fit for those looking to take on a little more risk in their portfolio. As the name suggests, small cap investinginvolves purchasing stock of small companies with smaller market capitalization (usually between $300 million and $2 billion). Small Cap stocks are appealing to investors due to their ability to go unnoticed. Large-cap stocks will often have inflated prices since everyone’s paying attention to them. Small cap stocks tend to have less attention on them because: a) investors stay away from their riskiness and b) institutional investors (like mutual funds) have restrictions when it comes to investing in small cap companies. Small cap investing should only be used by more experienced stock investors as they are more volatile and therefore difficult to trade. A portfolio built of environmentally and socially friendly companies while staying competitive alongside other kinds of securities in a typical market environment. In today’s modern world, investors and the general public expect companies to maintain some social conscience, and they’re putting their money where their mouth is. SRI is one path to seeking returns that poses a significant collateral benefit for everyone. Setting up your investment strategy is like buying a new car, before you look at the different models, you need to figure out what style suits you best. And just like cars, there are many styles to choose from when creating an investment strategy. When choosing the right investing strategy, there are questions that need to be answered first. What is your investment horizon? What returns are you seeking to achieve? What amount of risk are you able to tolerant? What are the funds in this investment to be used for? Answering these questions will ultimately also help in building your portfolio. Determining what will be your breakdown between cash, fixed-income securities and stocks is a good start towards creating your investment strategy. The breakdown of your asset allocation ultimately depends on your risk tolerance. A conservative investor may prefer to hold 80% of his portfolio in fixed-income and 20% in stocks. The reverse would be true for an aggressive investor, while a balanced investor will follow a 50-50 split. In terms of specific investment strategies within your asset allocation, if you are a high risk investor with a long investment horizon, you may want to include small cap and growth investing in your portfolio. If you have a moderate risk tolerance and shorter investment horizon, you may be more suitable for value and income investing. If you have a low risk tolerance and short investment horizon, you may want to focus solely on income investing. For those looking for companies that aim to do no harm, you can add socially responsible assets to your portfolio with relative ease. It is also important to adapt to the investment strategy you are most comfortable with. Someone with a knack for choosing growth stocks may make that strategy the priority in their portfolio. Choosing the investment strategy that is right for you is hard. That’s why we’ve created a course dedicated to reviewing these strategies in greater detail and helping you find the perfect match for your portfolio. You can take the course here and use the quizzes to test your knowledge! 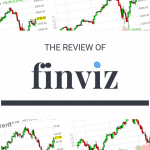 Finviz Review – Is it the best stock screener?